Enter 2018 from a centered place of peace. Release the energies of the last year, and set a harmonious tone for the year to come. 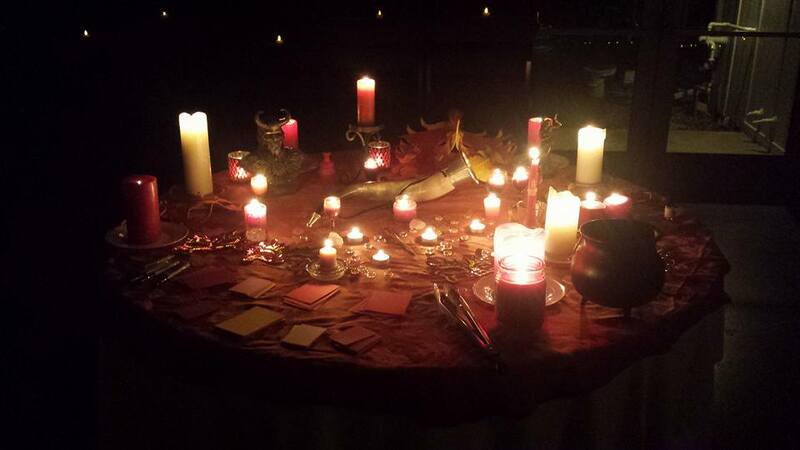 Sacred Space will be held from 7 to 9 pm in the Sanctuary of the UUCF on Monday, January 1st. Attendees are invited to move through the Elements, releasing the shadows of 2017 as they go. Elemental Guides will be available at each Quarter to offer a way to move into the energy of a new year. End your Purification journey with a walk to the center of the Labyrinth to receive any messages for the new year. The Midwinter Ball is Almost Here! The second annual Midwinter Night’s Dream Masquerade Ball is coming up FAST! Make sure to reserve your tickets here. Tickets are $35 in advance, $40 at the door.